Most people pursue a career in criminal justice out of a desire to help. The field is made up of people who want to do more for their communities in some way, but it's also a great field for employment opportunities. As the criminal justice system expands, employment opportunities grow as well. According to the Bureau of Labor Statistics, job prospects in criminal justice related fields are good, ranging from favorable to excellent depending on the location. Graduates from online criminal justice degree programs place themselves in an excellent position to take advantage of the demand for trained officers. Obtaining a criminal justice degree online or otherwise is increasingly becoming an expected prerequisite for entrance into policing, investigations, corrections, law, social work, and other related fields. Earning a degree from an online criminal justice program has many advantages, including allowing the student to maintain employment and/or family responsibilities while in school. 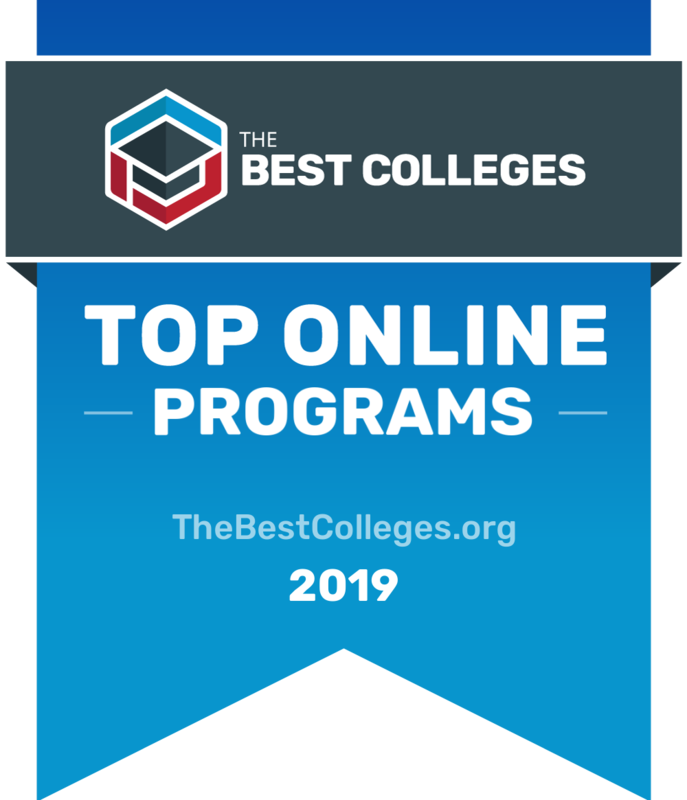 To help sort through all the quality online criminal justice degree programs, we’ve put together this ranking of what we consider the best criminal justice degree online options in 2019. Our rankings of the top online criminal justice degrees are based on publicly available data evaluated according to several different criteria, including reputation, accreditation, student satisfaction, ratio of students to instructors, and tuition. What Are The Best Online Bachelor of Criminology & Criminal Justice Programs? Evaluation - Purdue University Global delivers a fully personalized online experience that's tailored to working adults. By opening the doors to adults who need flexibility to fit learning into their busy lives, we make it possible to achieve a high-quality education from a prestigious university system. Program: The Purdue University system offers a catalog of 180 online degrees, including two bachelor's in criminal justice programs. The 180-credit BS in corrections and 180-credit BS in criminal justice groom learners for careers in law enforcement, corrections, or crime scene technology. The corrections degree plan includes the study of criminal procedure, juvenile justice, probation and parole, and corrections in the 21st century. The criminal justice degree track includes the study of criminal procedure, criminology, and criminal investigation. Criminal justice students may choose from concentrations in crime scene investigation, forensic psychology, homeland security, and law enforcement. Purdue Global, which boasts one of the largest catalog of public safety programs, provides learners with access to a wide network of peers and employers through the Criminal Justice Club and employer fairs. The programs have multiple start dates throughout the year. Admission requirements include having a high school diploma or GED. Regional Accreditation: Purdue Global University is accredited by The Higher Learning Commission (HLC). Evaluation - Capella's competency-based curriculum delivers both foundational knowledge and real-world skills, so that what you're learning in your courses is immediately applicable to your career goals.. Program: Capella University's 100% online bachelor of science in criminal justice provides students with the credentials and opportunity to find employment in criminal justice in both the public and private sector. Recognized by The FBI National Academy, the United States Secret Service, the International Association of Emergency Managers, and the National Sheriffs’ Association, the program offers concentrations in emergency management, law enforcement leadership, business intelligence, accounting, health care management, human resource management, and management and leadership, allowing students to take even more control of their career direction. The 180-credit online criminal justice degree program features asynchronous study and a flexible course schedule, allowing students to accelerate their learning. Capella University also has an accommodating transfer credit policy that enables up to 75% of the required degree credits to be transferred in. Regional Accreditation: The Higher Learning Commission. Evaluation - Walden University is a global leader in student-centered online education. Program: Walden University’s bachelor of science in criminal justice is designed to provide students with the skills and knowledge to help change the world. The 180-credit degree is available 100% online and offers concentrations in crime and criminals, homeland security, criminal justice management and administration, human services for criminal justice, and computer information systems and security. To empower their learning, students have access to the latest interactive media at Walden University, including lifelike, computer-generated scenarios from crime scenes. With flexible scheduling and asynchronous course delivery, students in the criminal justice online degree program can graduate in as few as 30 months. Walden University also allows for up to 135 credits to be transferred in, shortening the length of study by up to 75%. Evaluation - A private university with over 100 years of higher education rooted in the Catholic tradition, Saint Leo offers a top-notch online criminal justice bachelor's. Program: The 123-credit hour bachelor of arts in criminal justice from Saint Leo University Online provides graduates with a foundation for a career in a law enforcement environment. With specializations available in criminalistics (using forensic science to analyze and interpret evidence) and homeland security, students have the ability to direct their focus within the program. The 100% online program requires no campus visits and courses are asynchronous, enabling students to maintain their work and home schedules while in school. Students with an associate degree are able to transfer up to 64 credits, more than half of the required credits for the bachelor's degree. Regional Accreditation: The Southern Association of Colleges and Schools, Commission on Colleges. Evaluation - U.S. News and World Report has ranked degrees at Colorado Technical University among the Best Online Programs for 2017. Program:The online bachelor of science in criminal justice (BSCJ) degree program at Colorado Technical University is designed to prepare aspiring criminal justice professionals to serve the diverse needs of the criminal justice system. The fully online program delivers courses asynchronously and allows students to accelerate their learning with a heavier course load. In addition to providing students with a solid foundation in the criminological theory, law adjudication, administration of justice, corrections, and law enforcement, Colorado Technical University's BSCJ offers concentrations in cybercrime, forensic investigation, homeland security, and human services. Colorado Technical University also provides multiple start dates throughout the year and a significant transfer credit policy, which gives students the chance to transfer up to 75% of the required credits. Regional Accreditation: Colorado Technical University is regionally accredited by the Higher Learning Commission. To contact the Higher Learning Commission please visit www.hlcommission.org. Evaluation - Ohio Christian University's instructors combine academic credentials with professional experience, giving you the advantage of practical knowledge that can be applied to your career or ministry even before you complete your degree. Program: The bachelor of arts in criminal justice at Ohio Christian University equips students for a fulfilling career by providing a foundational understanding of human behavior within criminal justice systems. The fully online, 120-credit program is delivered asynchronously, so students study during the hours that suit them best. Students enrolled in Ohio Christian University's bachelor of arts in criminal justice are placed in a cohort and take one course at a time. This structure enables students to focus on one subject and the program is designed so that courses build off each other. Successful applicants have a minimum of 50 credits with a GPA of 2.0 from a higher learning institution. Regional Accreditation: Ohio Christian University is accredited by the North Central Association of Colleges and Schools, The Higher Learning Commission, and the Association for Biblical Higher Education. OCU is also authorized by the Ohio Board of Regents to offer associates, bachelors, and masters degree programs. Regional Accreditation: The Higher Learning Commission and a member of the North Central Association. Evaluation - Herzing University has once again been recognized by U.S. News and World Report for providing top-ranked online bachelor’s programs for 2017. Program: The bachelor of science in criminal justice from Herzing University prepares graduates for careers in the field of criminal justice, including local, state, and federal levels, as well as those in the private sector. The completion program allows students to transfer a large number of college credits easily, and the monthly start dates ensure students start classes at the best time for them. In addition to the general criminal justice degree, Herzing University offers concentrations in homeland security and supervision and management. All online courses are delivered in a flexible asynchronous format, allowing students to maintain their work or family commitments while in school. Evaluation - At AIU, the Serious U, classes are taught by industry specialists who bring their real-world perspective to the classroom and will work with you one-on-one when you need it. Program: The bachelor of science in criminal justice at the American InterContinental University (AIU) is developed to help students pursue a career helping others. In addition to the general criminal justice degree, AIU has several specializations available for students who wish to enter a specific area of the field, including corrections and case management, homeland security and crisis management, and forensic science. Students who utilize the transfer credit policy at AIU receive credit for up to 75% of their qualifying credits, saving up to 75% on tuition. Additionally, students with law enforcement training earn 36 college credits and save up to 20% on their degree. Regional Accreditation: American InterContinental University® is regionally accredited by the Higher Learning Commission. To contact the Higher Learning Commission please visit www.hlcommission.org. The criminal justice field projects a good employment outlook for criminal justice degree online graduates through 2024. Even though the growth rate is below average, the field is heavily relied upon and there should be no shortage of jobs available moving forward. More and more criminal justice positions are being filled by applicants with credentials from accredited online degree programs than ever before, and of those, candidates with a bachelor's degree in criminal justice typically have the best job opportunities. Joining the police force is the goal of most criminal justice graduates. While there are various levels of law enforcement, each with different tasks, pay structures, and schedules, all police officers enforce the law and protect the lives of people and their property. The median salary for this career is $62,000. Entry-level police officers start off with a median salary of $44,000 and build to a median salary of $67,000 with experience. Probation officers work with probationers to monitor and help them if possible. The goal of a probation officer is to prevent probationers from returning to crime. Some probation officers work as treatment specialists and create programs to assist in the probationer's rehabilitation process. Almost all probation officers work for state or local governments. The median salary for probation officers is $50,000. The median salary for new probation officers is $37,000, but, with experience, the median salary jumps to $60,000. Private detectives and investigators offer a variety of services, but many focus on searches for information, including legal, personal, and financial matters. This typically includes verifying people's backgrounds and investigating missing person reports. Across the field, the median salary is $48,000. Most entry-level professionals begin at a median salary of $44,000, but experienced private detectives make a median salary of $73,000. Correctional officers are responsible for overseeing and keeping order within jails and/or prisons. This career also includes bailiffs, who are responsible for courtrooms. Correctional officers maintain the security of their environment and the safety of its inhabitants by preventing disturbances and crimes. The median salary for this field is $43,000. As an entry-level professional, the median correctional officer salary is $34,000, whereas experienced correctional officers have a median salary of $48,000. The career outlook for police and detectives is projected to be slower than average at 4% between now and 2024, but the desire and demand for public safety is expected to result in a growth in the field. While the successful completion of the police training academy is the only real job requirement, candidates with bachelor's degrees in criminal justice typically have the best opportunities available to them. Federal agencies, such as the FBI and DEA, have bachelor's degrees as a minimum requirement. Even though the career outlook for probation officers is projected to be slower than average at 4%, the demand for professionals in this field is expected to grow as community corrections continue to be relied upon more as an alternative to incarceration. While the minimum requirement for probation officers is the completion of a state or federally sponsored training program, most applicants are expected to have a bachelor's degree. Students who are interested in probation work should consider taking criminal justice classes online in social work, criminal justice, and behavioral sciences. The field of private detectives and investigators is projected to grow at a slower rate than the national average, but at 5% projected growth between 2014-2014, this sector is projected to grow more than most law enforcement sectors. The reason for this growth is the result of a growing number of cybercrimes and internet crimes. Most positions in this field require law enforcement experience above all else, but there are entry-level positions available. Corporate investigators and computer forensics investigators almost always need a bachelor's degree in criminal justice as a minimum requirement. With projected growth at 4% through 2024, the corrections profession is expected to grow on par with the rest of the law enforcement field. While many state governments are moving toward shorter prison sentences that could slow the demand for officers, the high turnover and advanced ages of professionals in the current workforce is expected to balance out the field. Many prisons require the successful completion of a training program, but federal prisons ask for a bachelor's degree as a minimum requirement. The criminal justice field covers a wide range of professions and specialties. With more than 135,000 degrees awarded in the various subsections of the field, criminal justice is one of the most popular degree choices in the nation. While most law enforcement positions require the completion of a training program as a minimum requirement, such as a police training program which takes an average of 21 weeks to complete (between four and six months), a college degree in criminal justice is quickly becoming a necessity. Currently, 57% of all degrees awarded in the criminal justice field are bachelor's degrees. Associate degrees make up 36% and master's degrees make up 7%. A very small number of criminal justice graduates were awarded a Ph.D. (0.1%). In terms of financial rewards in the career, the most important thing a criminal justice professional needs is experience. Still, there are considerable financial differences between the most common levels of higher learning, not to mention the fact that candidates with a higher level of education have the best job prospects. The most significant jump in salary between degrees is between an associate degree and a bachelor's degree. A graduate with an associate degree earns an entry-level median salary of $31,000, but a graduate with a bachelor's degree earns $37,000, a 19% increase. Master's degree holders earn an additional 14% on top of that, coming in with a median entry-level salary of $42,000. The more drastic comparisons between degree completion and earnings come with experience and degrees. While experienced professionals with associate degrees bring in a median salary of $52,000, those with bachelor's degrees see a median salary of $66,000 -- a 27% increase. As a comparison, professionals with master's degrees have a median salary of $70,000. The criminal justice programs offered online vary in terms of quality, name recognition, and value. To help someone looking for a quality, accredited online criminology or criminal justice degree program, we've put together this ranking of what we consider to be the very best online schools offering criminology or criminal justice degree programs in 2019. Our rankings of the top online schools offering criminology or criminal justice degrees are based on publicly available data evaluated according to several different criteria, including reputation, accreditation, student satisfaction, ratio of students to instructors, and tuition. You can read more about our rankings philosophy and find a list of our other top college and degree rankings on our rankings page. To determine the best online Bachelor of Criminal Justice degrees, we looked at the most important factors prospective students, mainly common predictors of future success and a school's commitment to online programs. This boils down to admissions rate, student loan default rate, retention rate, graduation rate, and the percent of students enrolled in online classes. All data points are taken from information provided by colleges and universities to the National Center for Education Statistics. Each factor is weighted evenly in order to give an objective view and determine the 8 best online Bachelor of Criminal Justice degree programs. To calculate our rankings, we looked at a school's ranking when organized by a single factor, and then averaged each category's ranking to find an overall score: Admissions Rate (20%) + Default Rate (20%) + Retention Rate (20%) + Graduation Rate (20%) + Percent of Students Enrolled in Online Classes (20%) = Final score.